sausages cooking on a wood barbecue. hd00:09Smoked, grilled meat beef ribs at a storage in a meat processing industrial factory. 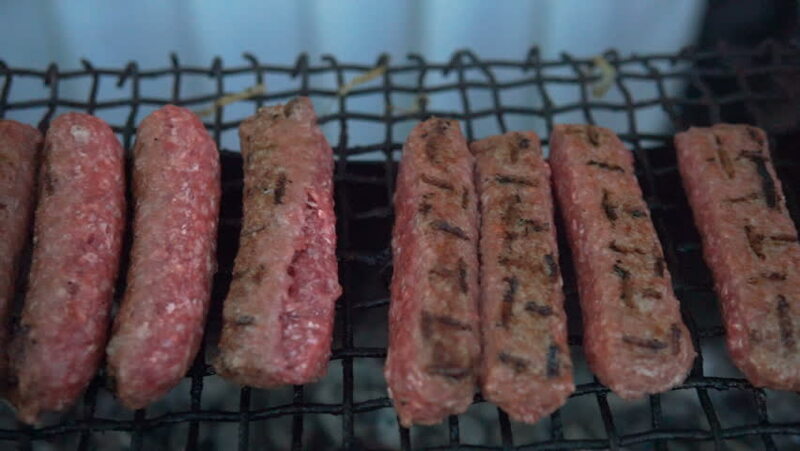 hd00:18Grilling minced meat on full burned charcoal to make koobideh Kebab, Minced meat barbecues on skewer grill. Kabab Koobideh is an Iranian meat kabab made from ground lamb or beef and onions.